Paraguay’s new president, Mario Abdo Benitez, was elected by less than a four percent lead over his opponent Efrain Alegre. Benitez, a leading member of the ruling Colorado Party and a very pro-business candidate, stated that he would keep his predecessor’s business policies of promoting business and keeping taxes low. 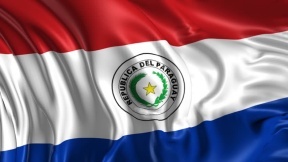 Paraguay’s business policies, especially in regards to promoting its agricultural sector, have helped the country reduce its poverty rate and bring more general prosperity to the average Paraguayan. Nevertheless, one-quarter of all Paraguayans live in poverty, and Benitez campaigned on a platform of helping those poor Paraguayans in need. The overall policy of the Colorado Party seems to be “don’t rock the boat.” While they acknowledge that poverty is a major problem, and that many Paraguayans have not benefited from the general growth in the economy, many in the Colorado Party are convinced that the overall policies of the previous Paraguayan president, Horacio Cartes, have had a positive impact on the country and that the general business atmosphere combined with fighting the country’s poverty should continue. There is a fear among some Paraguayans that Benitez might maneuver the country into a dictatorship. Benitez’s father, Mario Abdo Benitez Sr., was personal secretary to the former Paraguayan dictator Alfredo Stroessner who ruled Paraguay from 1954 until he was overthrown in 1989. Benitez has made it clear that he will abide by the current political system and that he will not seek extraordinary powers. Let us hope Benitez keeps his word, and that history will not repeat itself.